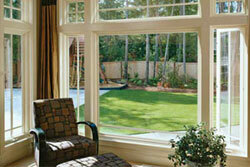 Universal Windows Direct is the leading provider of high quality replacement windows for Grove City homeowners. With over 15 years of experience in the home remodeling industry, Universal Windows Direct has the highest performing home improvement products on the market, at a price you can afford. Beautify your home while increasing its energy efficiency with new replacement windows from Universal Windows Direct. When looking to save money on your energy bills, purchasing new windows for your home should be the first step you take. Our exclusive UniShield products incorporate SuperSpacer technology to provide you with maximum energy savings. Our high-performance glass packages and foam filled main frame will help reduce drafts and reduce your heating and cooling costs. Custom made for your home, you can design a replacement window that matches your unique style in a wide variety of colors and decorative glass options. Additionally, increase your home's security with sash limit locks that only allow for partial opening. All our replacement windows carry our True Lifetime Warranty which is 100% transferable to subsequent homeowners for a period of 30 years, making your home more appealing when the time comes to sell. This warranty also covers all pieces, parts, materials, glass, frames, locks, hardware, installation, and labor. "We really are happy with the entire experience, from the salesman to the..."
"Very professional through all stages of the project. Sales, measurement,..."
Universal Windows Direct is a leader in the home improvement industry and we're the first call homeowners make when they're ready to replace their home’s siding. 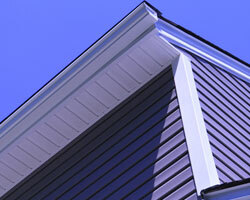 New siding can will make your home more beautiful and increase its value. Because you always get what you pay for, spend your money wisely by choosing UWD's UniShield Supreme XL home siding. With UniShield Supreme XL, your home will benefit from extended installed lengths, which means there are fewer overlaps and seams. The "board lengths" where joint lines come together are either non-existent or carefully minimized, and the overall finished looks is classic, elegant, and high end. Available in traditional four-and-a-half-inch clapboard and Dutch lap profiles, with a rich oak grain texture, UniShield premium vinyl siding looks like a luxurious, freshly painted house but without the maintenance of other vinyl siding products. In fact, because you'll never have to sand or paint again, because UWD’s home siding is virtually maintenance free, providing your home with a lifetime of lasting beauty. Nothing says, "Welcome to Our Home" quite like the beauty of a new fiberglass entry door from Universal Windows Direct, why not create a warmer greeting all year long by replacing your door with a new one? 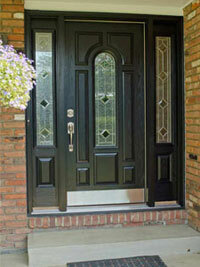 Available in a wide array of stately styles, entry doors from Universal Windows Direct are beautiful. But unlike other replacement entrance doors on the market, they’ve got energy-efficient technology built right in. Instead of suffering with that uninviting, drafty, or dated front or patio door, schedule your in-home estimate with a member of the Universal Windows Direct team right now. Like you, other homeowners in Grove City will be clamoring to make their own warm impressions, and you don't want to be left out in the cold.